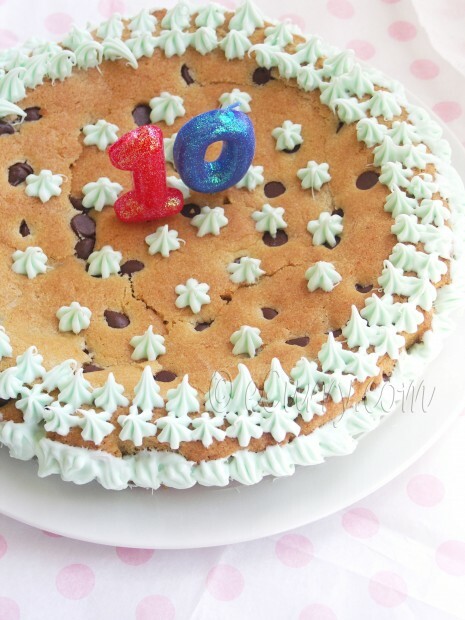 For a beautiful young lady who is turning 10 today ! My baby is 10 years old today. How the ten years went by I do not know. But as I woke up this morning, the memories of the first time I laid my eyes on her felt like it was yesterday. It is an emotional day for me. Ten years seem like a lot of time, but that first time when she looked up to me and laid her tiny head against my beating heart, seems it just happened; the excitement of the surprise and the feelings untold that can only be felt when you are waiting to meet your first child. Well she is no more a baby and the double digit number nudges hard on the parents – kind of an awakening experience. I do not want to get mushy here. I know all the parents out there can hear me. She is ten and she is a mischievous brat! Life moved slowly until she was 5. Once school started, time picked up in a storm…. She is a no fancy girl, who decided to go low on the celebration as she does every year. A quiet time at home with family and then a play date and ice cream with two of her best friends over the weekend is her kind of a happy day. Her little sister announced two days before her birthday that she will “give her a bagful of kisses which she can pour out in her heart”. I was stunned by her expression, for only a child can come up with a poetry like that. And the birthday girl wanted a store bought cookie cake with lots of icing, much to the distress of her food blogger mom. You would understand why I was “shocked” to why she would not want a home baked classic cake, wouldn’t you? So I sneaked up while she was in school and baked this cookie cake. I also gave her a choice that if she does not like it, we can always go and get one. She did not believe me that I baked it! (Well she did later…) And she loved the cake…. I did use the store bought icing (and added a bit of light color and citrus fragrance) to satisfy her. After all it is her birthday. Happy Birthday to our precious Prarthana! We love you to pieces. Line a 14-inch, light colored, round pizza pan with parchment paper and grease the parchment paper. In a large bowl, beat and cream butter and sugars together. Add eggs and orange extract or vanilla. Rub in the orange zest into the flour with your fingertips. Mix flour, salt, baking soda, and cream of tartar with a whisk. Spread dough into the lined pan. Bake for 20 minutes at 350 degrees, until the toothpick comes out clean and the top is golden. Cool completely. Do a double flip and place the cake on the serving plate. Ice the cake if you wish to. I used store bough icing. Ice/frosting only when completely cooled. Happy Birthday to the beautiful Prathna. She looks very mischievous. I’m sure it must be a very emotional day for you. And any child will be happy with that kind of homemade cake. Just amazing! Happy Birthday to your beautiful daughter! That cake must be terribly good. Happy birthday to your daughter..Both of your daughters are beautiful!! God bless! Cake looks divine..love this combo.. So much love went into that cake and this post. Make the most of every moment – children are on loan. Happy Birthday to dear Prarthana(what a lovely name by the way). 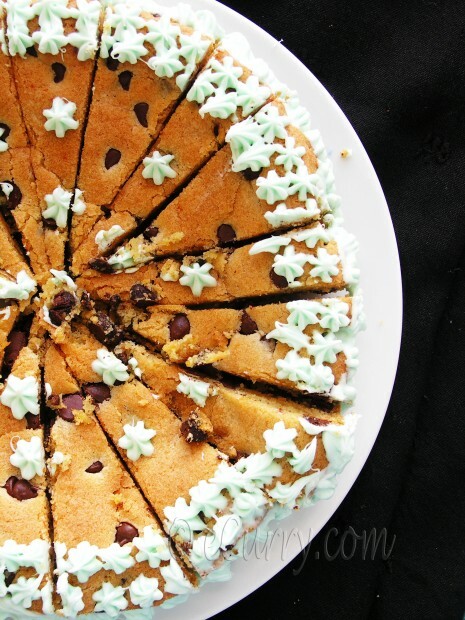 Oh that cookie cake is a kiddie delight. Looks perfect for a 10th birthday. A very very Happy birthday To Dear Prarthana on turning 10. Hope she is enjoying her day to the fullest with the best home made cookie cake by her Mom. What a pleasant surprise, full of love and just love. 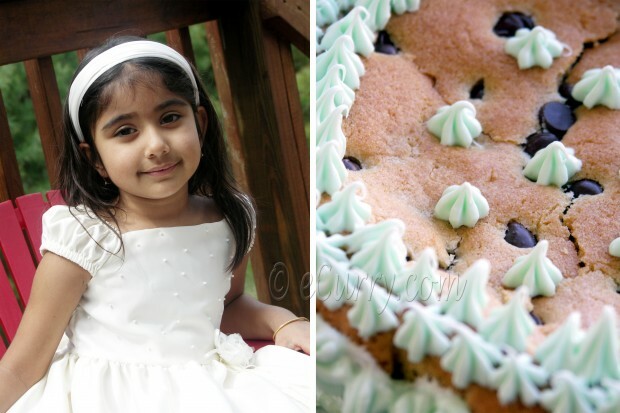 Best wishes to you too Soma, for baking a perfect cake for ur little one… !!! Happy Birthday to Prarthana! That’s a sweet name 🙂 The cake sure looks gorgeous, who would want a store bought cake after taking a bite from that! Hope you guys had fun! Coming to your question on my Momo post. Yes, I used wanton wrapper, the thin ones. I used to make the wrapper at home, but seriously it’s so tiring and when we both start eating momo we can’t stop. So, i thought it would be best to use those wrappers and eat as many momo as we want 🙂 The steamer i used is a bamboo steamer. Found it in 99 ranch market, Chinese market. Original momo steamer is made of steal but there is really not much difference. 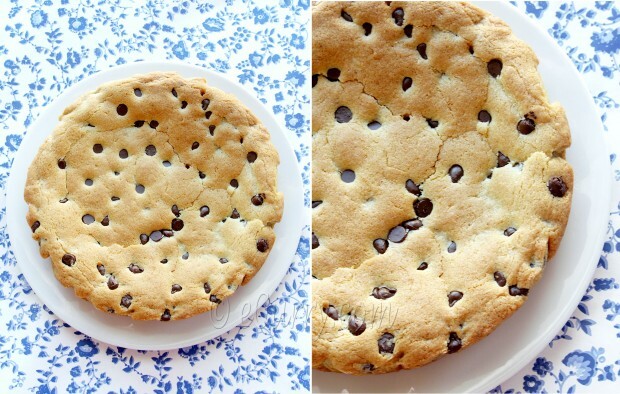 Wow the giant cookie looks just gorgeous.. HAppy birthday to sweet young lady.. she looks so pretty. Awesome treat and hope she enjoy to the fullest.. The pictures are asusual out of the world soma. Happy Birthday dear Prarthana! Hope she has lots & lots of fun. Delicious cake indeed. My daughter refuses when I offer to make a cake for her birthday. I will give it a try for her next Birthday. Happy birthday to your lovely girl ! And very sweet words indeed her little sister told her ! A real gift. So cute ! What a beautiful post and what a gorgeous little lady she is turning out to be. When I looked at the picture where in she was 5, I thought she resembled her little sister T. (or is it the other way around? 🙂 Beautiful cake. Anway, birthday wishes to the little lady and God bless! Happy birthday to the lovely girl! She couldn’t have asked for a better cake:). Belated birthday wishes to the little princess. What a lovely write up Soma. A lovely cake too. A belated birthday wish and hugs to the pretty young lady. Hope she had a fabulous day. Looks stunning Soma. Wishing the cutie a belated Birthday! Happy birthday to your daughter! This is a perfect cake to celebrate with! Your photos and your words are so beautiful – I got tears in my eyes thinking about my 9 year old and his 10th next year. Once they hit school, it does go by like lighting. Beautiful post! 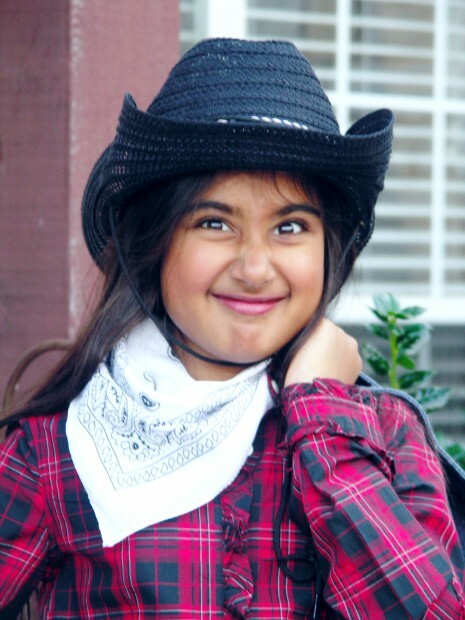 Soma, hope your DD1 had a fabulous day! I wish her all the happiness. Also, a very pretty cake! 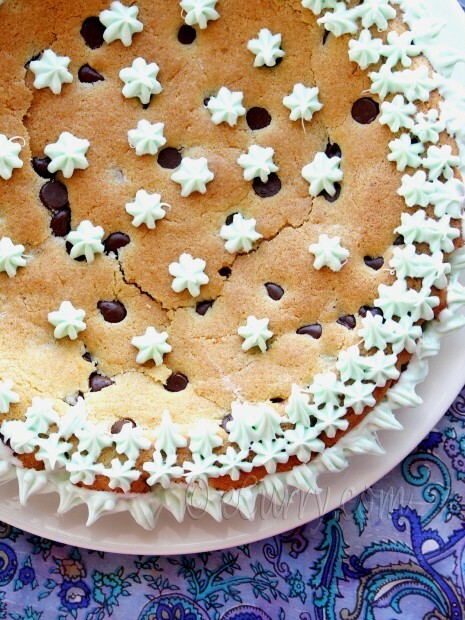 The cookie cake is just wonderful! That’s a very cute cake for a very cute little lady! 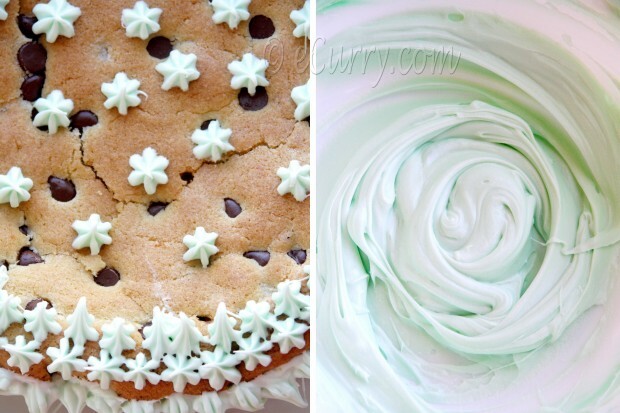 The icing decoration looks great on top. 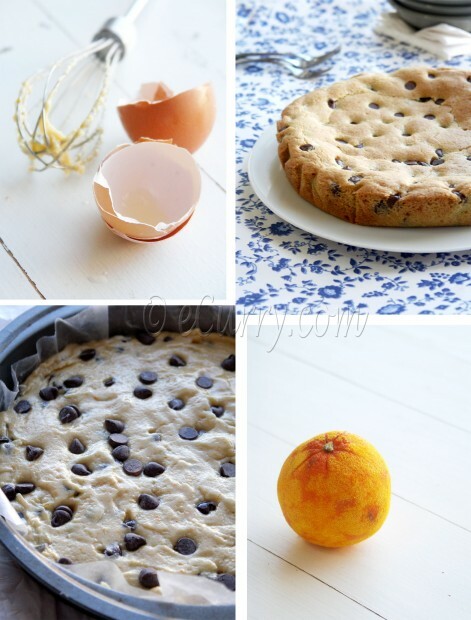 The orange flavor in the cookie cake sounds delicious too. Lovely cake! Birthday wishes to your daughter! Happy Birthday to your daughter. Cookie Cake seems to be great surprise for her !! Looks gorgeous !! so cute! every single term in the name of the cake appeals to me 🙂 happy b’day to your baby! Happy birthday to your beautiful daughter and her cookie cake looks beautiful. Time will be flying even quicker as they grow. It seems like yesterday when mine was ten and now she is at university. Soooo adorable! Both the beautiful girl and the cake. Happy belated bday to your sweetie, Soma! Wishing your daughter a Happy Belated Birthday. 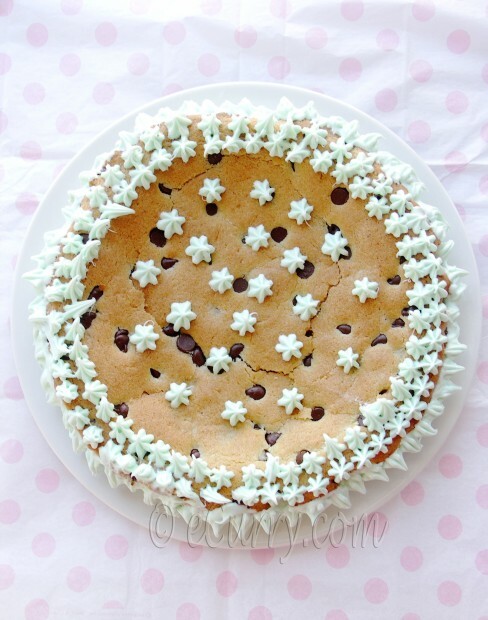 I would be so happy if I got a giant chocolate chip cookie as my birthday cake too! Happy Bday to your princess. The cake looks lovely! Very true Soma, time flies when the kids start growing…mine is now 12 and I feel I have a very few years left before he starts going to college…Such small celebrations with family are what stay together for long. Many happy returns of the day to the gorgeous princess! A perfect treat for a lovely day. Thank you so much all of you, for your beautiful wishes!! Lots of B’day wishes(belated) to the B’day girl……cake looks adorable….we too had a similar kind of b’day celebration just 4 of us few days back, for my daughters 9th b’day. The consistency should be like any cookie cake.. not a crunchy cookie.. like any regular chocolate chip cookie, but slightly softer (as it gets a bit higher/taller than a regular cookie) on the inside.. That is how mine was. It was not like you have to bite with a big crunch and noise.. I hope it helps and I hope the cake works out well..